Opuntia, also known as nopales or paddle cactus, is a genus in the cactus family, Cactaceae. 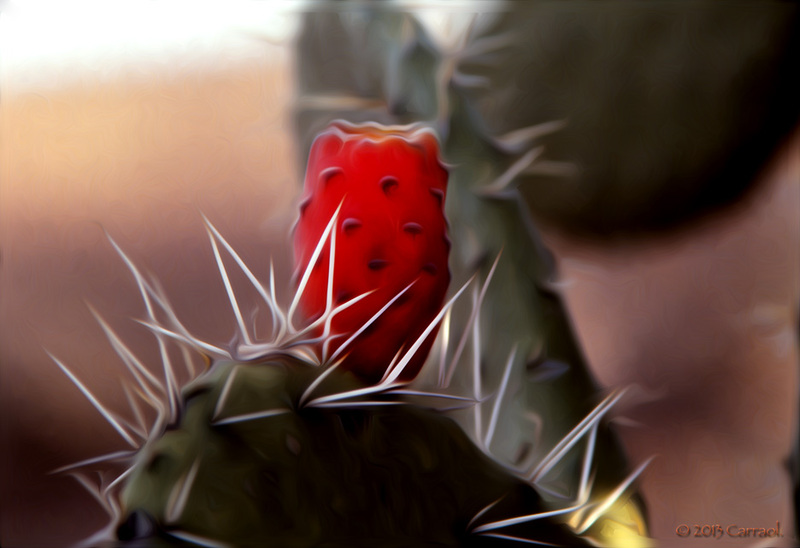 Currently, only prickly pears are included in this genus of about 200 species distributed throughout most of the Americas. The most commonly culinary species is the Indian Fig Opuntia (O. ficus-indica). Most culinary uses of the term "prickly pear" refer to this species. Prickly pears are also known as "tuna", "nopal" or nopales, from the Nahuatl word nōpalli for the pads, or nostle, from the Nahuatl word nōchtli for the fruit; or paddle cactus. · WoW!!! Que cosa más hermosa. · En encanta ese juego de color y esa nitidez.